of the journal is of high quality and that the editorial review process is both timely and fair. ([email protected]). Please do not hesitate to also contact him for any informal enquiries. TOMACS is in the process of establishing a reproducibility board. Its member will take an active role in reproducing computational results and in evaluating the artifacts that accompany a paper published in TOMACS. In addition, together with the editor in chief, they will be responsible for fine tuning, and adapting the overall RCR process in TOMACS to enhance the reproducibility of modeling and simulation research. Kalyan Perumalla presented his TOMACS paper Scalable Cloning on Large-Scale GPU Platforms with Application to Time-Stepped Simulations on Grids at the 2018 ACM SIGSIM PADS conference. The second paper in the new TOMACS series called "State of the Art and Open Challenges" (MS:STAROC) in modeling and simulation has been published. In "A Survey of Statistical Model Checking", Gul Agha and Karl Palmskog give an introduction into this important field of simulation-based analysis where properties and hypotheses to be checked are explicitly defined in terms of stochastic temporal logic. A special issue based on the 2017 Informs Simulation Society Research Workshop (I-Sim 2017) will appear in TOMACS 2019, guest edited by Peter J. Haas and Georgios Theodoropoulos. The workshop theme was “towards an ecosystem of models and data”, and the goal was to promote fruitful interactions between the data science and simulation communities. This special issue will include extended versions of papers presented at I-Sim 2017, along with several invited papers closely related to the workshop theme, and is expected to come out in mid-2019. A Special Issue of the 14th International Conference on the Quantitative Evaluation of SysTems (QEST 2017) guest edited by Nathalie Bertrand and Luca Bortolussi will appear in TOMACS 2018. QEST is a leading forum on evaluation and verification of systems through stochastic models and measurements. The focus of QEST is mainly on computer systems and networks with attention also on other domains, such as biological systems, epidemic spreading, and crowd movement. This special issue will include extended versions of a selection of the best papers presented at QEST, on topics of interest to TOMACS, and is expected to come out in fall 2018. In 2017, three papers successfully took part in the new replicating computational results (RCR) activity of TOMACS: MNO--PQRS: Max Nonnegativity Ordering—Piecewise-Quadratic Rate Smoothing, Semantics and Efficient Simulation Algorithms of an Expressive Multilevel Modeling Language, and Green Simulation: Reusing the Output of Repeated Experiments. 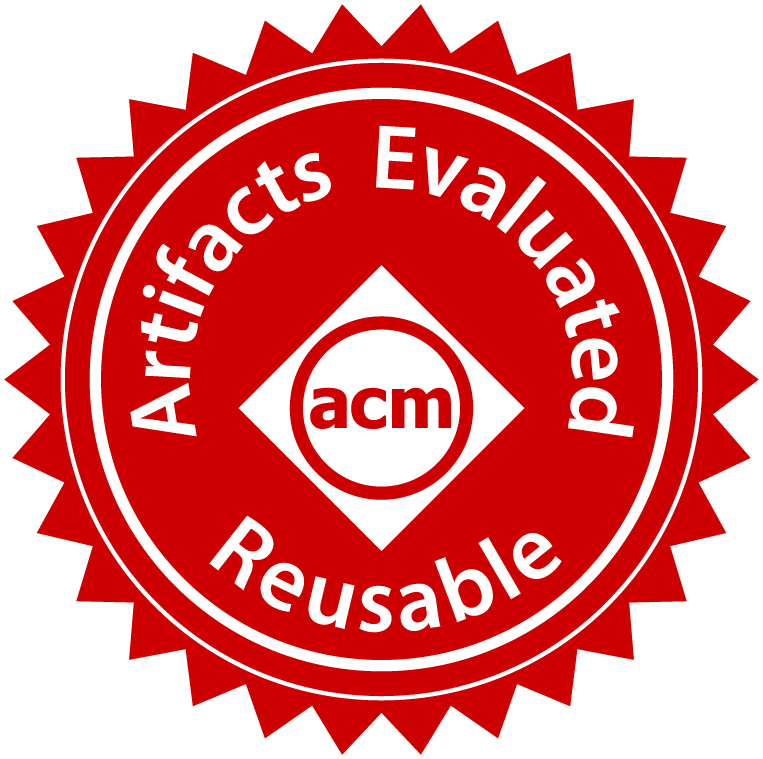 After the additional reviewing that is documented in their respective TOMACS RCR reports, the papers were awarded the new ACM badges to acknowledge that modeling and simulation artifacts, e.g., simulation software or simulation models, were evaluated, the artifacts available, and/or results were validated. 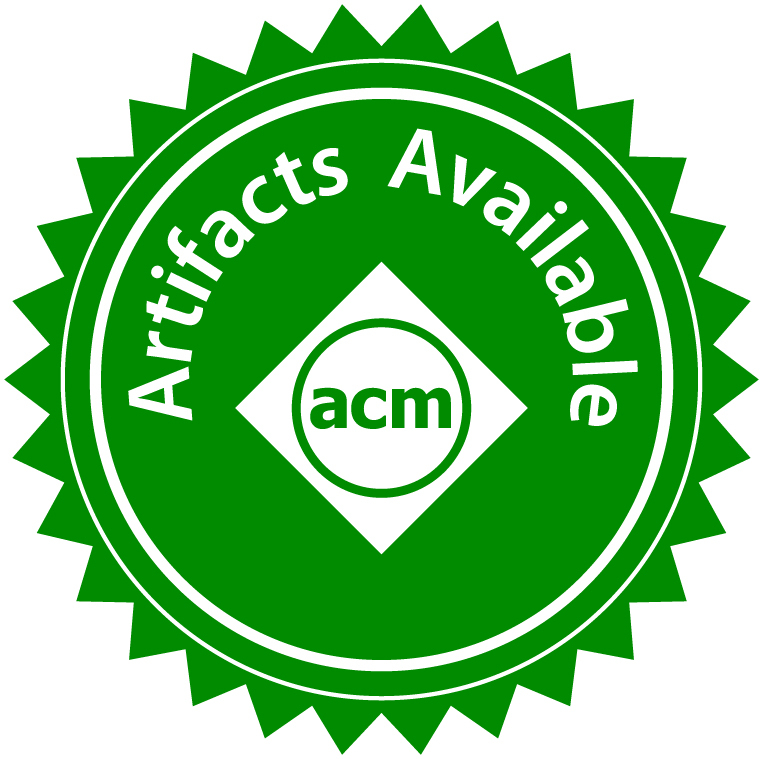 ACM proposes specific badges and recommends that three separate badges related to artifact review be associated with research articles in ACM publications: Artifacts Evaluated (either as being functional or reusable), Artifacts Available and Results Validated (results have been replicated or have been reproduced). 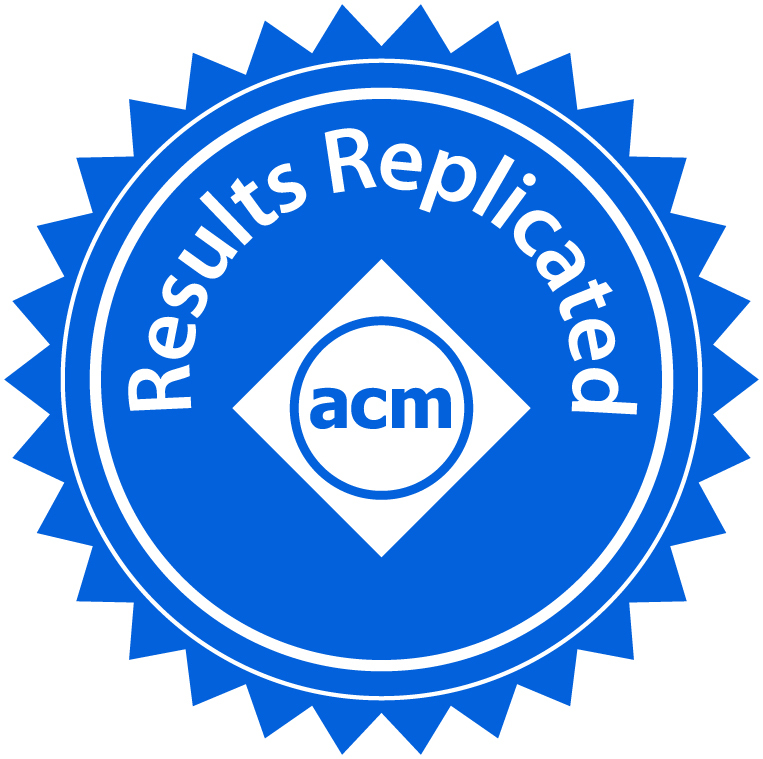 Those new badges will also be adopted in the reproducibility initiative of TOMACS and will replace the one used before (see below). Thereby, any one, two or all three badges can be applied to any given paper depending on the results of the additional reviewing process. Special issue on Formal Methods for the Quantitative Evaluation of Collective Adaptive Systems, Deadline for submissions January 27, 2017. The first paper in the new TOMACS series called "State of the Art and Open Challenges" (MS:STAROC) in modeling and simulation has been published. In "Research Challenges in Parallel and Distributed Simulation", Richard Fujimoto describes how the parallel and distributed simulation field has evolved and grown from its origins in the 1970s and 1980s and explores directions of future research. The paper Automatic Moment-Closure Approximation of Spatially Distributed Collective Adaptive Systems is the first paper that took part in the new replicating computational results (RCR) activity of TOMACS. The paper completed successfully the additional reviewing as documented in its RCR report. This reviewing is aimed at ensuring that computational results presented in the paper are replicable. Digital artifacts like software, mechanized proofs, data sets, test suites, or models, are evaluated referring to ease of use, consistency, completeness, and being well documented. The paper Space-Time Matching Algorithms for Interest Management in Distributed Virtual Environments by Elvis S. Liu and Georgios K. Theodoropoulos has been included in the 19th Annual Best of Computing Notable Books and Articles of the ACM. To improve the reproducibility of modeling and simulation research, TOMACS is pursuing two strategies. Number one: authors are encouraged to include sufficient information about the core steps of the scientific process leading to the presented research results and to make as many of these steps as transparent as possible, e.g., data, model, experiment settings, incl. methods and configurations, and/or software. Associate editors and reviewers will be asked to assess the paper also with respect to this information. Thus, although not required, submitted manuscripts which provide clear information on how to generate reproducible results, whenever possible, will be considered favorably in the decision process by reviewers and the editors. 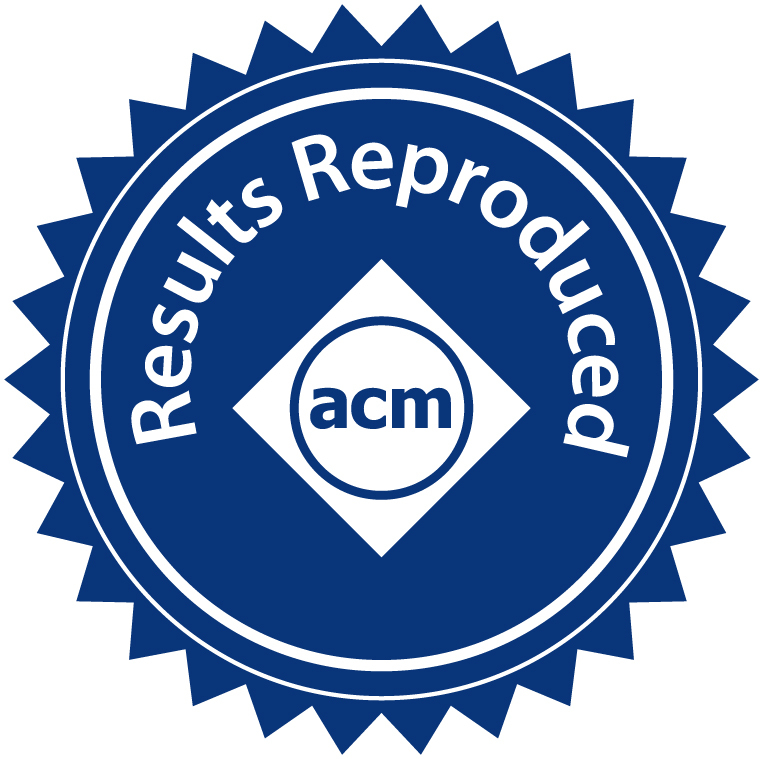 Number two: we will form a new replicating computational results activity in modeling and simulation as part of the peer reviewing process (adopting the procedure RCR of ACM TOMS). Authors who are interested in taking part in the RCR activity should announce this in the cover letter. The associate editor and editor in chief will assign a RCR reviewer for this submission. This reviewer will contact the authors and will work together with the authors to replicate the research results presented. Accepted papers that successfully undergo this procedure will be advertised at the TOMACS web page and will be marked with an ACM reproducibility brand. The RCR activity will take place in parallel to the usual reviewing process. The reviewer will write a short report which will be published alongside the original publication. TOMACS also plans to publish short reports about lessons learned from non-successful RCR activities. TOMACS is excited to announce it is establishing a new series called "State of the Art and Open Challenges" (MS:STAROC) in modeling and simulation. Papers in this series will feature leading researchers who present their views concerning the state of knowledge in an area within the modeling and simulation discipline as well as important research challenges requiring further investigation. Typically, these papers will focus on specific methodological areas, e.g., parallel execution, design of modeling languages, model checking, or optimization, and/or methodological challenges in specific application fields, e.g., network simulation, transportation, manufacturing, sociology, or systems biology. Authors interested in contributing a MS:STAROC paper should first contact the editor-in-chief to propose a topic area. ACM SIGSIM PADS and ACM Transactions on Modeling and Computer Simulation (TOMACS) agreed to link both premier outlets for Modeling and Simulation methodological research more tightly. Each year a special issue based on significantly extended, selected papers of SIGSIM PADS will appear in TOMACS. A detailed procedure involving the ACM SIGSIM PADS committees and the editorial board of TOMACS has been worked out to ensure a high quality and fast processing of the special issue. In the opposite direction, authors who have an accepted paper presenting original work in TOMACS, will receive the possibility to present their work at a SIGSIM PADS conference in the next two years after acceptance in TOMACS. If authors plan to do so, they need to inform the ACM SIGSIM PADS program chair and the TOMACS Editor in Chief before the paper submission deadline of the respective year. Please note that the conference fees will not be waived.